[2016-09-01] Jan Černohorský finaly released all the pictures he has taken during the EC — check his (NEW) photogallery. Feel free to use them for promotion! [2015-09-06] Competition map from the second classsic is ready for download. Many thanks for keeping it secret! Official Results including this map are also ready for download. [2015-09-04] Regional station "TV Západ" reported on Championship (in Czech only) on Friday, Sep 4 (see time span of 8:55–11:25). [2015-09-04] Few more typos were corrected in Official results. You might like to download updated version. [2015-09-01] Jan Černohorský have taken a plenty of photographs during the EC — check his photogallery. Training available now, further will follow soon. Feel free to use these pictures for ARDF promotion! [2015-08-26] Check Sylke&Bernd's photogallery for your picture. [2015-08-26] See it on Wed April 26 at 15.50 (in Czech only) or online later. [2015-08-19] Check regularly the download section. Start and result lists as well as maps are there! [2015-08-18] Check the start list for sprint. Reasonable weather can be expected. [2015-08-18] Check the Results section for online results! . [2015-08-18] We can expect rain thru the whole foxoring. [2015-08-17] Check the Bulletin No. 4 for details on foxoring. See Download section for Foxoring start list. [2015-08-15] Most of the badges is printed. Have you already registered? 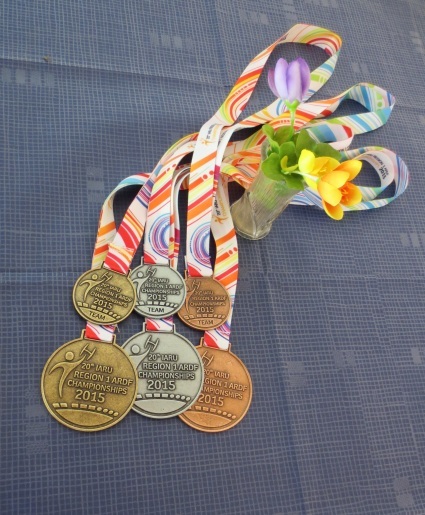 [2015-08-15] Medals are waiting for their winners. [2015-08-13] Follow us on facebook. [2015-08-13] Check the details on particular training competitions. See Download section for PDF. [2015-08-10] On Saturday, you can visit a booth of Sportvogl — orienteering equipment in the finish area. [2015-08-05] Long term forecast predicts hot days for training camp. [2015-07-31] Special station OL20ARDF will operate on 10–23 August. 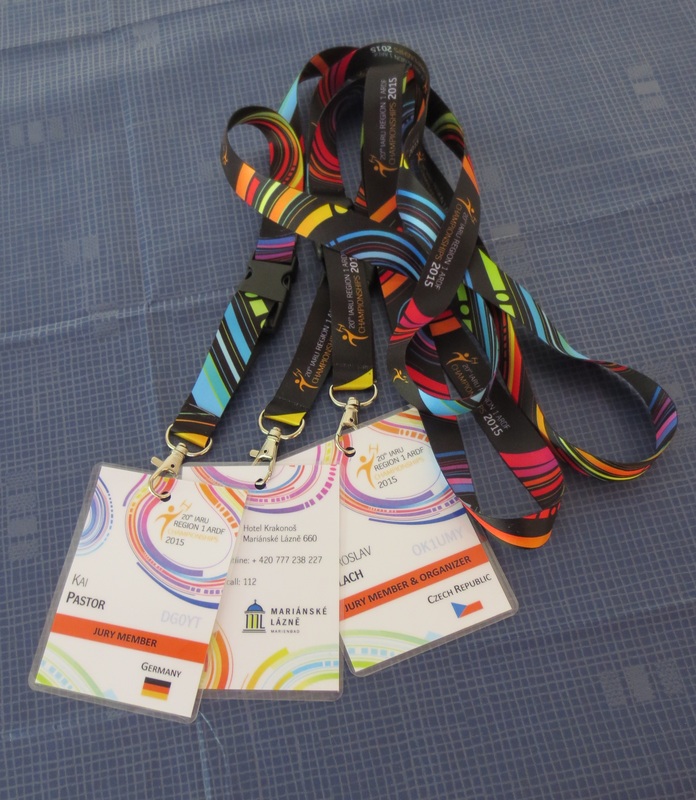 OL20ARDF/p will be available at hotel Krakonoš on Wed and Fri.
[2015-07-25] Bulletin No. 3 together with registration form were just released! See Download section. [2015-07-06] We deeply regret to announce that we will not organize the European Championship for the Blind. Unfortunately, just a negligible number of participants expressed their intention to take part in it. [2015-06-29] We are working hard, preparing maps and finishing Bul. 3. Meanwhile, there is Music Festival 'Jazz Spa' going on in Marienbad. [2015-05-22] Please, download, fill, and send back the entry form. Find it in Download section. [2015-04-30] Check the Photogallery section for a few images from the terrain. [2015-04-23] Most of you already heard of it. Next (already 4th) edition (on CD) will be available at the upcoming championship. Jan kindly asks all participants and officials to bring with them old — 1960's to early 80's championships — materials. [2015-03-24] Although spring has already come, in Marienbad, there is still possible to go skiing. [2015-03-05] Bulletin No. 2 was just released! See Download or Info section of the webpage. [2015-03-02] Last touches are being made on the next Bulletin (No. 2). You can expect it any day now. [2015-02-18] So far we received letters of intent from 12 countries — 162 competitors. Bulletin No. 2 will be issued at the end of February. [2015-01-24] Still awaiting your letters! The deadline is approaching — February 15th. Mapu pro závody připravil Olles — mapy pro orientační běh.